Take the first step toward a healthy, beautiful smile! Schedule An Appointment Today! Congratulations! You’re on your way to discovering your best possible smile by choosing dental care from Zarina Staller Dentistry. During your initial visit, you’ll meet the team and see Dr. Staller first. If you have x-rays from your previous dentist, you can bring them with you for our doctor to review, but if not, don’t worry! Our dental assistants can take a comprehensive set of x-rays which will aid Dr. Staller in reviewing your current oral health. Once you sit with Dr. Staller, you’ll have her entire attention for the duration of your visit. She’ll review your medical history and provide a thorough exam, and in many cases treatment can be started the same day. For advanced cases, we’ll schedule treatment for another visit so we can spend as much time as necessary getting to know one another. We’re here to make your first visit experience the greatest you’ve ever had. Save time and fill out your new patient registration forms before your first visit. When you step into our office, we’re committed to your comfort. If you suffer from dental anxiety or phobias, first know that it’s very common! Let us know what makes you nervous, and we’ll discuss it. In many cases, simply talking about a procedure or treatment is enough to put your concerns at ease. However, we also encourage patients to take advantage of all of our amenities to make your visit to our office more relaxing. Feel free to bring your own music and earbuds as well. If you need a break during any treatment, simply give us the signal with your left hand. We want your experience to be as calm and comfortable as possible, so let us know if there’s anything you need. Payment is due at the time of service, and our team is happy to help you find the right financial solution for your oral health. 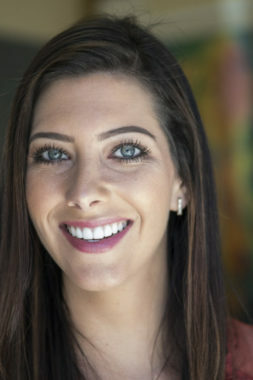 After having two different consultations with other doctors that recommended between 8 to 10 porcelain veneers for my cosmetic case, Dr. Staller told me something that I never expected to hear! She only recommended 4 porcelain veneers as a conservative approach! She told me my teeth are extremely healthy and the other teeth only needed minor adjustments. Here I was looking for somebody to give me the best price on 10. What really convinced me to go with Dr Staller were her final words: “Let’s try a conservative approach and if you not happy with the results we can always do the rest of the teeth”. Sure enough…her confidence with my treatment paid off! It’s been a year since she did my 4 veneers and nobody can tell! They look extremely natural and I’m thankful that she didn’t need to do anything else! I always heard Dr Staller was conservative but I wasn’t sure what that meant until I met her! I’m very happy I found her! !